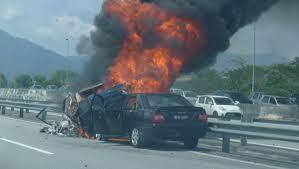 Road accidents cause many deaths throughout the world. There are many reasons for this. The most important reason is probably the drivers’ inattentiveness when they are driving, especially in the late hours. Some drivers do not follow the traffic signs and regulations related to speed With an ever increasing amount of cars on the roads, many more traffic accidents are occurring. What does the situation look like in your country? Are deaths by road accident rising or falling. 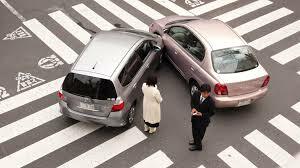 Would you be interested in exploring ideas about ways traffic accidents can be reduced (and maybe eliminated)? Write suitable computer programs using NXT 2.1 programming to control the speed of the car. Collaborate as member of a group in designing and carrying out appropriate activities from writing the computer program to solving problems associated with the use of the robot. Explain transmitted, absorbed and reflected light, for both white and coloured light and the purity of reflection from different coloured roads. Explain wavelength of light in the context of the electromagnetic spectrum and the manner in which light sensors function. Decide with justification, whether robots can be viably used to reduce the number of road accidents. 1. Make a list of the recognition technology named in the video. What images does it recognise? 2. How many accidents had the Google car been invloved in? Now visit the two resouce pages listing the World Health Organisations list of the amount of road accidents per country. 1. Which country is the safest place to drive a car? Which country is the most dangerous? Where does your country stand in comparison? 1. Discuss the meaning of a light sensor and brainstorm ways a light sensor can decrease the number of traffic accidents. 2. Present information considered relevant from student group searches on the internet about the properties of light. 1. Search the internet for information on the property of light, both white light and coloured light. 3. Integrate a light sensor to the robo-car (follow instructions) Need to upload these to the documents list ! 5. Write a computer program following a worksheet giving instructions for the light sensor using NXT 2.1 programming and upload it to the robo-car. 6. Measure your cars’ speed when it passes along different colored roads. 7. Discuss and test other factors that could influence the reliability of the light sensor to work. 2. Reach final conclusion on: How it might be possible to decrease/increase the speed of cars? 3. Discuss the feasibility of integrating the light sensors to all of the cars? Economically? Reliability in all conditions? 4. Discuss the feasibility of colouring the traffic roads to limit the speed of the cars? 2. How is light reflected? 3. What is a light sensor? 4. How does a light sensor work? 5. How does a light sensor detects objects of different colours? 6. How does a light sensor send detected data from different coloured objects? 7. Which coloured objects absorb the light best? In combination with the lessons your teachers will go thorugh on light relflection, work through the tasks on the handout 3 - 5. 2. Could ligh sensors be added to all cars? What would it cost? 3. How does the reverse camera work on modern cars?